Machining coolants are an important component of metal working operations. Coolants improve machinability, increase productivity, and extend tool life by cooling and lubricating the part and cutting tool. When performing these functions, coolants can quickly become contaminated with foreign materials, causing coolants to lose effectiveness and develop foul odors. For this reason, most coolants are used only for a short time before being discarded. 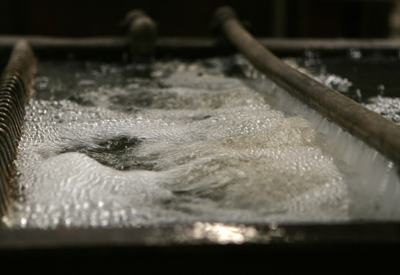 The practice of discarding and replacing coolants is costly and wasteful. Developing and implementing a coolant maintenance program can help you minimize contamination, prolong coolant life, and reduce costs. MnTAP’s fact sheet, Coolant Maintenance for Machining Operations, can help guide you in your efforts to develop a maintenance program. Additionally, we provide a list of equipment and supplies for coolant maintenance to help you with this project.